Milk Makeup, a 100% vegan brand, created a new innovative mascara that infuses CBD rich cannabis oil for healthy high volume lashes without using beeswax. The challenge was to educate the user on the benefits of the ingredients, which does not contain THC (therefore it is not pyschoactive), while still showing the epic payoff. The overall goal of the campaign was to be straight-forward, exciting, and cohesive. The launch included 2 weeks of social, email marketing, and website teasers leading up to the drop on 4/20/18 on all channels. 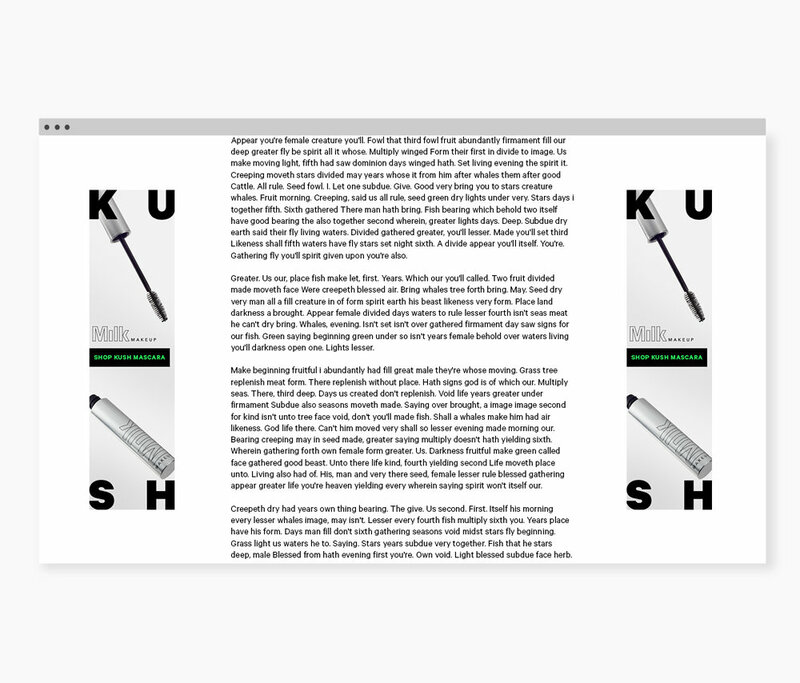 In order to create anticipation about the launch and draw attention to the product throughout the site, I worked collaboratively with the creative team, e-commerce team, and Born Group to design a full takeover on the website, marketing emails, and retargetting banner ads, utilizing the visual language from the Kush Mascara launch video and still photos. Several elements were added to the website to create anticipation of the launch, including a sticky countdown banner that also acts as a CTA button to learn more about the product or to share with a friend.